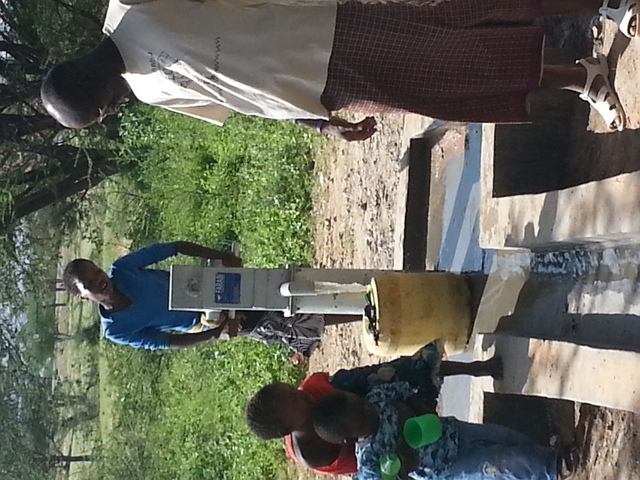 Funded by Bob Hoff in conjunction with Jacky Falkenberg's Walk for Water, The Samburu Project will drill and install a shallow well equipped with a handpump in the Lerata B Community. Initially we attempted to drill a well in a place beyond Lusen Gap called Ngutuk Elmuget in Lodungokwe. After two days of surveys, it was concluded that drilling a shallow well in this area was not viable. Thus, Kariuki and Lucas decided to move to an entirely new area on the road between Wamba and Archer's Post called Lerata B. This community is located in one of the driest areas of the Samburu District. Access to water is challenging. A government truck ferries water from Archer's Post 20 kms away to this village once a month. The water is not enough to last the community a whole month. 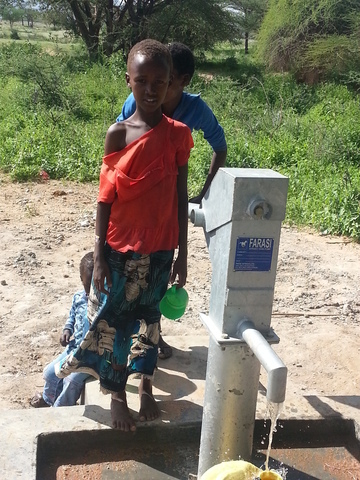 With a well, the community will have access to a safe and reliable water source. Women will have enough time to do other productive business. More children will attend school. 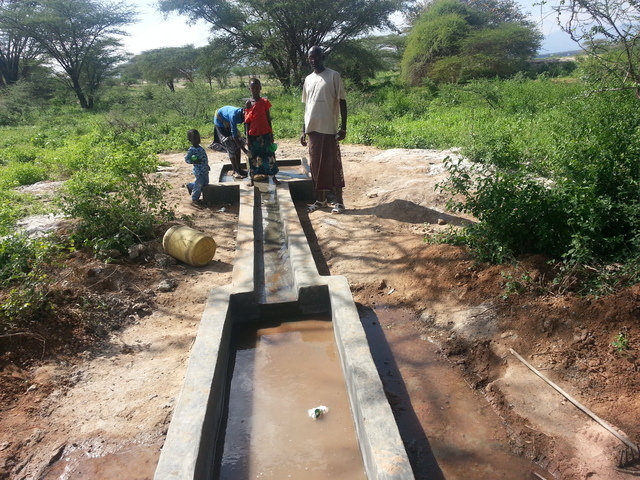 The water from the well will be used for both domestic and livestock use. The community also intends to do farming. It is hard to imagine what this community goes through to have access to water. It is equally as hard for the community to imagine that a clean, safe water source is on its way. Three sites were surveyed before finding a viable location. It is a very happy day for the community in Lerata B. Their well is pumping water! Water Struck at 58 Meters! More good news from Lucas today. We struck water at the Lerata B well site at 58 meters. Drilling began yesterday. Big welcome to our 42 well!!! After surveying three possible locations, Kariuki found a viable well site in Lerata B.
Lucas and Kariuki spent two days in Ngutuk Elmuget, Lodungokwe and surveyed 13 sites unsuccessfully. The water is deep and there is a lot of hard, un-fractured rock, making it impossible to drill a shallow well. With this, they decided to move on to an area outside of Archer's Post called Lerata about 3 km beyond the junction from Archer's Post to Wamba. After they are finished surveying in Archer's Post on the way to Sere Olipi, they will go back to Lerata to do surveys.